The first museum in Gisborne was a small room in the Lowe Street Municipal Offices, which were built in 1883. 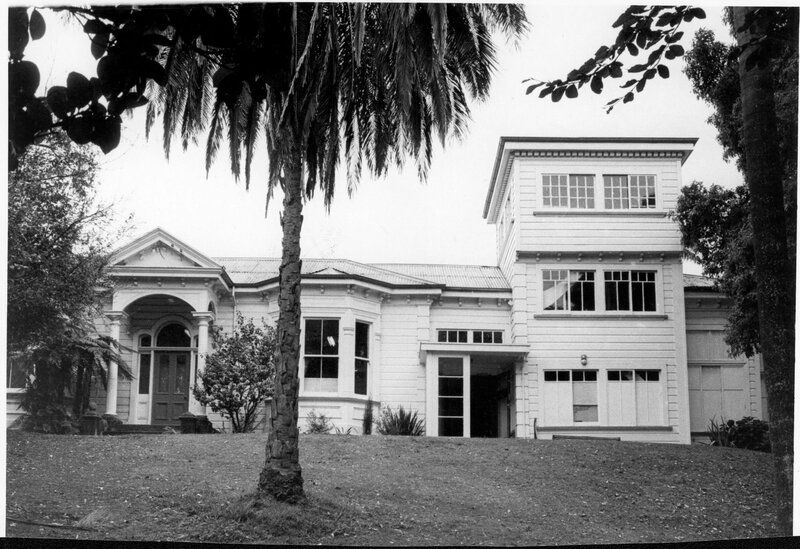 The institution, known today as Tairāwhiti Museum was established in 1953 when the Gisborne Branch of the Hawke’s Bay and East Coast Arts Society separated from HBECS in 1953 to form the Gisborne Arts Society. Lysnar House was previously the home of the family of William Douglas and Ida Eleanor (nee Tiffen) Lysnar. William was a lawyer, landowner and politician, as well as an enthusiastic collector of Māori artefacts. When he died in 1942, he left his estate to his only daughter Winifred. In 1954 in accordance with her late father’s wishes Winifred Lysnar gave the lower land of Lysnar House (now Kelvin Park) to the people of Gisborne, and sold Kelvin Rise and Lysnar House to the City for a nominal sum to be used for the purposes of an art gallery and museum. The Museum opened in 1955 and remained in Lysnar House for 20 years. Lysnar House still stands behind the museum and is now used by the Gisborne Artists’ Society. The Ballroom of Lysnar House was relocated in 1975 and now forms part of the Marina Restaurant in Vogel Street, Gisborne. 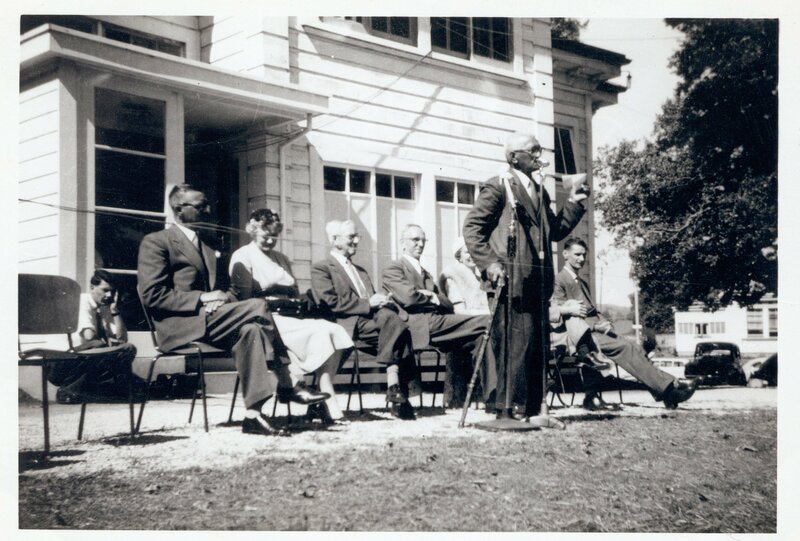 After the opening of the Gisborne Art Gallery and Museum in 1955 a new Māori Wing was opened in 1958. The building of the Māori Wing was led by the Māori Committee of the Gisborne Art Society and was partly funded by the Māori Purposes Fund (established 1934/5). Members of the committee in 1956 included Mr K. Te Hau, Mr L. Fowler (sec. ), Dr A. L. Singer (art society president), Mr J. Atkinson (museum director), Mr M. Ngata, Mr H. Ngata, Mr P. Kaua, Mr T. Tamepo, Mr H. Paenga, Mr P. Milner, Mr R. Wills, Judge H. Carr. Wyllie Cottage was part of the Lysnar’s gift to the city for the Gisborne Art Gallery and Museum in 1954. However, it remained tenanted until 1970. It was opened for display after renovations in 1972. A storage building/barn was constructed behind the museum and art gallery in 1972 to house transport and technology exhibits. 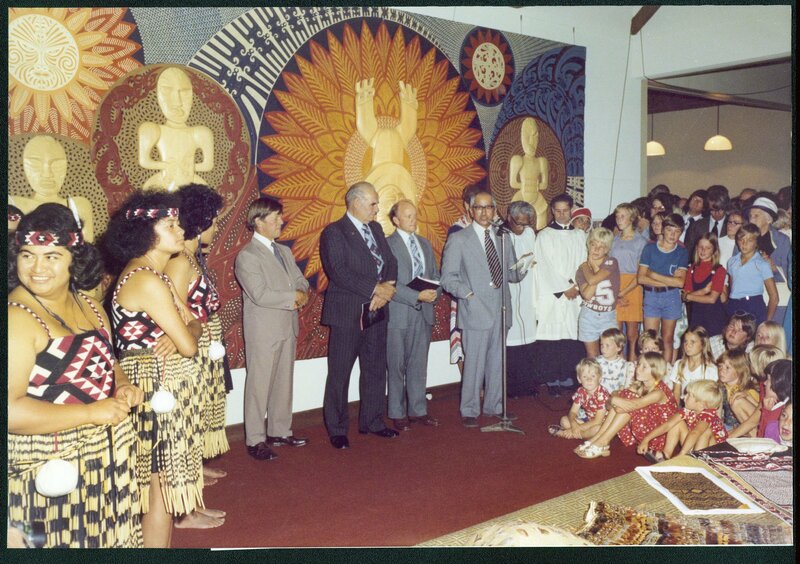 In 1975 the Transport & Technology collections and building moved from the museum to the Showgrounds in Makaraka and in July 1984 became an incorporated society in its own right. In 1988 the museum purchased the former Kia Ora Dairy Factory premises in Makaraka, where they operate as the East Coast Museum of Transport and Technology. In 1975 the Museum temporarily moved to Gisborne Central School while a new museum building was built. After the old Central School burnt down in 1904 a new building was erected in its place. The new Central School opened in 1905 complete with its own museum, a collection of curios and Māori artefacts displayed just inside the main entrance. The museum was set up by the headmaster of the time, FJ Rowley, and remained at the school until 1954, when many of its treasures were transferred to the Gisborne Museum of Art and History. The museum’s new building at Kelvin Rise was opened in 1977 by Mr HB Williams. An inaugural exhibition of contemporary Māori art was opened by Henare Ngata. The Waihirere Māori Club performed at the opening under the leadership of Ngapo Wehi. 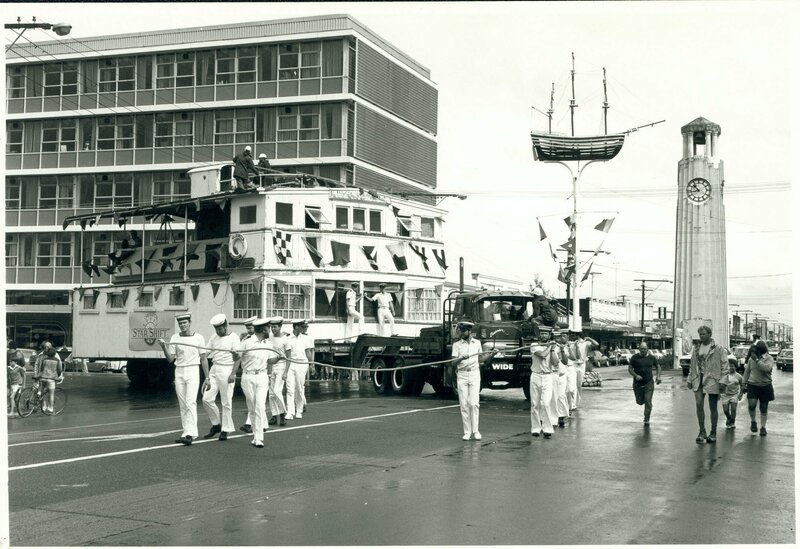 The Gisborne Federal Band also performed. The museum was designed by then Gisborne Arts Council Chairman and architect Colin Pilbrow. The Bridge of the Star of Canada was gifted to the citizens of Gisborne in 1983 and relocated to the Gisborne Museum and Arts Centre in 1985. 2014 Gallery and storage extension opens with three new gallery spaces, including the Professor Jack Richards Decorative Art Gallery and a new collection storage facility. This project was supported by the Ministry for Culture and Heritage Regional Museums Fund, Eastland Community Trust, Gisborne Endowment Trust and Professor Jack Richards.